Attack transports were equipped to carry landing craft and troops with which to carry out amphibious assaults. This required that they be ballasted to compensate for the increased top weight from landing craft and landing craft davits. 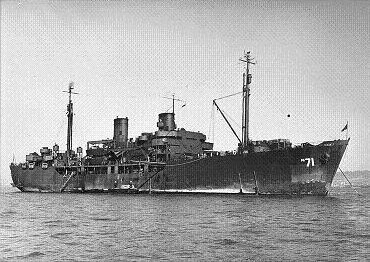 Attack transports required a minimum cruising speed of 14 knots to keep up with fast invasion convoys, and they had more extensive communications equipment and antiaircraft armament than ordinary transports. Most were converted from modern merchant ships. A typical APA carried about 1500 troops and 15-33 LCVPs and 2-4 LCMs with which to land them. It took about a dozen APAs to land a division.